I love Soap and Glory products, not only for their quirky names and cute retro pink packaging, but also because their products are actually really good. 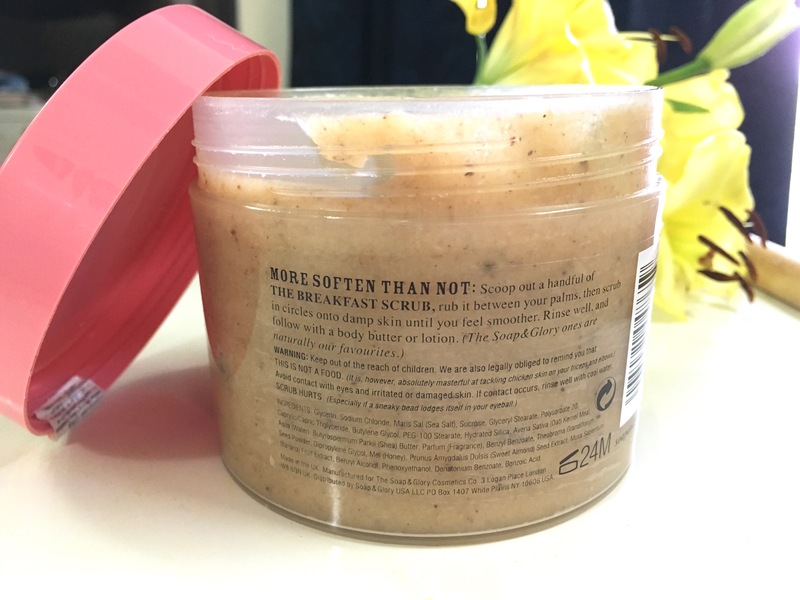 So this body scrub is not different. 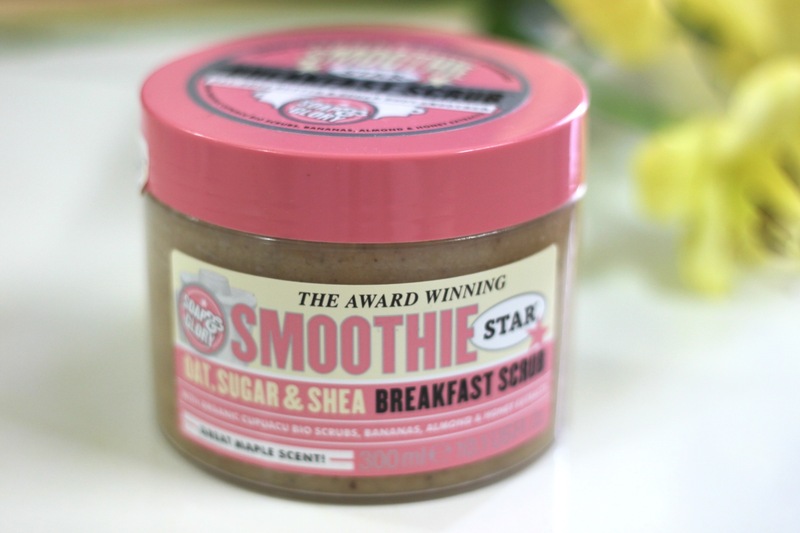 If you love pancakes with maple syrup, you would love this scrub. 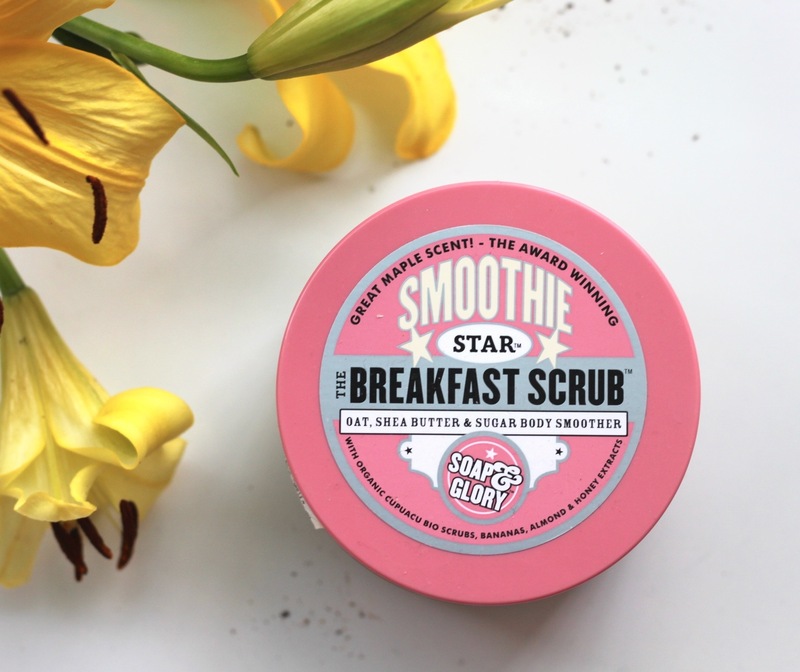 The Soap and Glory Breakfast Scrub comes in huge tub packaging, which surprisingly I am loving. I usually prefer tube packaging mainly because of hygiene reasons, but having used another scrub from the same brand that came in a tube, I found it difficult to squeeze out, as the consistency of their scrubs is so thick. The tub contains 300 ml of product, which is quite a lot! As soon as you open the tub, you can smell the sweet sugary maple scent, which does make you want to just dig into it and eat it. It is called ‘breakfast scrub’ for a reason. They have clearly mentioned on the tub that “This is not a food” lol. It has a thick, sticky consistency. 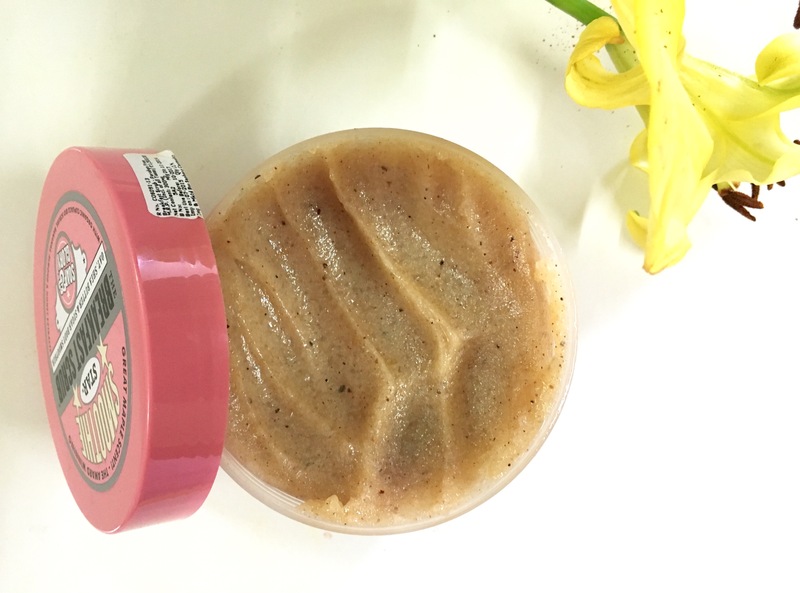 The scrub has got the perfect amount of grittiness or scrubbiness without feeling harsh on the skin. It is neither too gentle, nor too abrasive. It buffs away the dead skin and the combats that annoying ingrown hair quite effectively. It makes my skin feel moisturized, maybe because it contains Shea butter too. 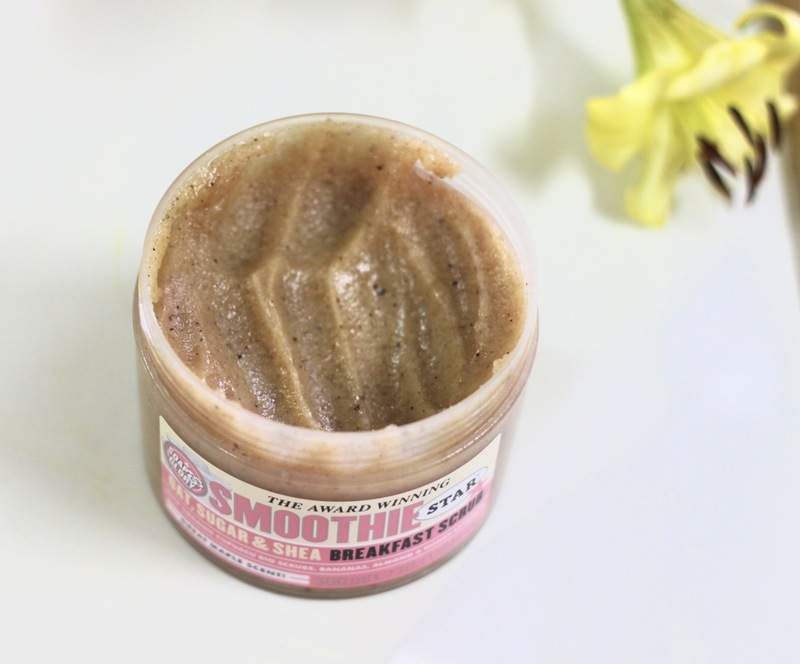 Other than Shea, it contains oats, sugar, organic cupuacu bio scrubs (known for its anti oxidant and moisturizing properties), bananas, almond and honey extracts.  I would highly recommend this product. This, as shown in my haul post (read hear), is my second tub. This was quite pricey (though qty is huge) so I didn’t buy it. Since it worked out so well for you, especially on ingrown hairs, I’m tempted to purchase it! I NEED to try Soap and Glory as soon as possible! Feel as if I am missing out on so many goodies!